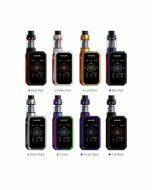 SMOK 220W T-Priv Starter Kit: Hollow out design of T-Priv mod shows domineering, the big fire key kindles your desire, adjustable LED meets your various color demands, and 220W output is powered by 2x 18650 batteries. You can enjoy the excellent performance via the strong V8 Baby-Q2 core and V8 Baby-T8 core of TFV8 Big Baby. Meanwhile it has 5ml capacity and smooth airflow system. 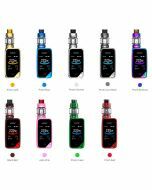 T-Priv kit companies you all the way, just set out to conquer the sea of stars. Innovation keeps changing the vaping experiences. 220W OUTPUT POWER: Its max output power can up to 220W, and provides two modes for you. Temp Mode can enhance consistency and taste of every puff. Watt Mode is perfect for cloud chasing. 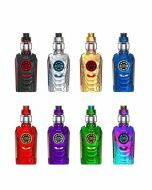 9-Color Modes Customization LED: Red, Green, Blue, Yellow, Magenta, Cyan, White, RGB, Rainbow of the T-Priv Kit are available for you. Adjustable LED brings more enjoyment during your monotonous vaping life. EASY-TO-READ OLED SCREEN: The clearly OLED screen combines with entirely new operation interface. 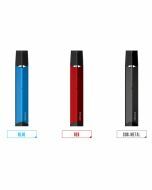 More vaping data for you, such as VW/TC MODE, vaping effect, voltage, battery life, resistance value etc. POWERED BY 2X18650: T-Priv kit is powered by two 18650 batteries in series. The dual battery life indicator on the OLED screen is more accurate for you. 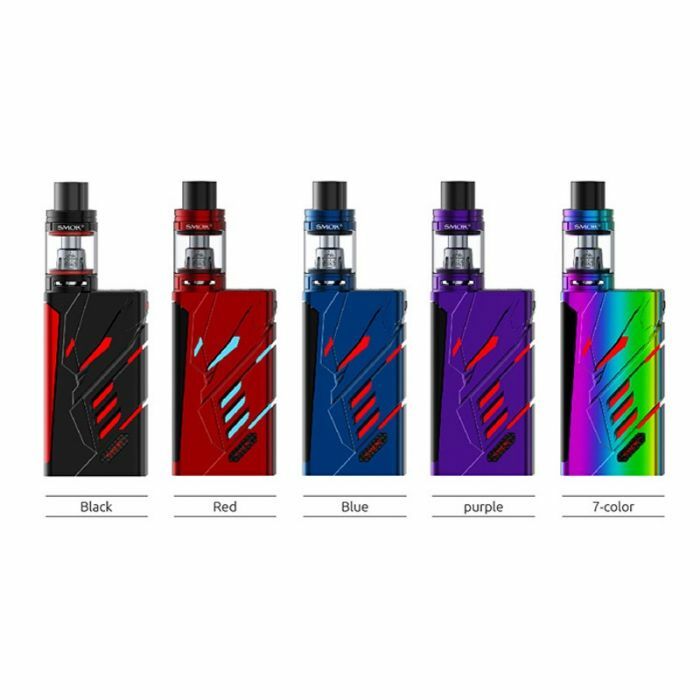 MULTIPLE PROTECTIONS: Intelligent atomizer recognition, short circuit protection, puff monitoring system, over-heating protection, 12 seconds cut-off, Low-battery warning.